Aftermath Kavia Extreme Sport Tactical Slingshot | BUDK.com - Knives & Swords At The Lowest Prices! The Kavia Extreme is a durable slingshot featuring a folding rubberized wrist brace to provide support when using the strong tubular thrust bands and leather pouch. 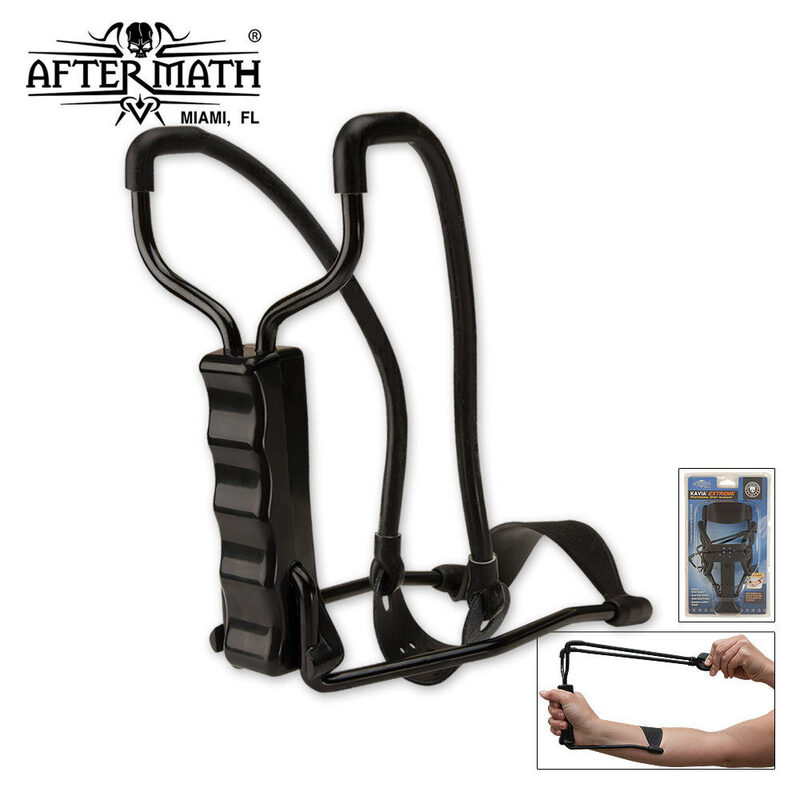 Includes high quality tubular thrust bands, folding rubberized wrist brace, and a leather pouch. Nothing has broken yet and I have probably shot it over 500 times and I don't see any wearing on any part of it. It's extremely surprising that it's only 13 dollars, it is an amazing value for the quality.